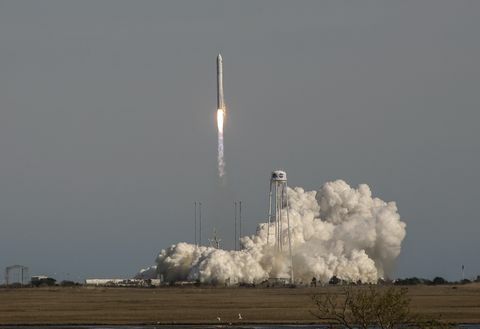 The Northrop Grumman OmegA program team recently celebrated as the OmegA rocket was one of the three vehicles chosen by the U.S. Air Force to move forward in development of a system that will assure access to space for the nation’s most critical payloads. 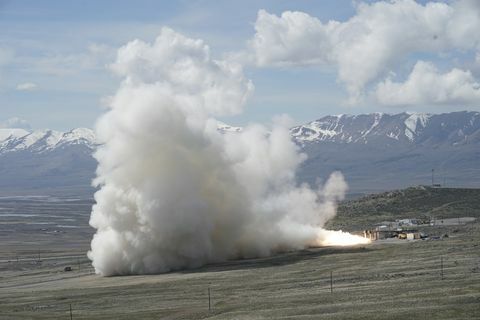 OmegA is a new intermediate - to heavy-class rocket being developed to support National Security Space Launch Programs for the U.S. government. OmegA will be the capstone rocket in a fleet of Northrop Grumman launch vehicles that support commercial and government launches. It is an innovative system providing assured access to space for the nation’s most critical payloads. At Northrop Grumman, developing unique launch vehicles is part of the company’s DNA. That culture of innovation grows from its core capabilities. On average, the company develops one to two new vehicles a year. From Pegasus, the first privately-developed space launch vehicle, to Antares, which carries supplies to the International Space Station, to interceptors and complicated targets for missile defense, the company has an extensive heritage and numerous building blocks for OmegA. As one of the company’s top initiatives, working on developing and building the OmegA launch system has created much excitement among the program team. The OmegA team has completed multiple milestones including development and testing of the critical first and second stage components, cryostage design and development testing, and the launch system preliminary design milestone that details the architecture and capabilities of the vehicle. The OmegA team members possess a diverse range of skill sets, some with decades of launch vehicle development and launch experience and others just starting their careers. “I think what has impressed me the most with this team is we have a great mixture of experience but also up-and-coming young engineers that have this new passion and drive and are really excited to work on the program,” said Kevin Wilder, OmegA deputy program director, Northrop Grumman. The team’s focus is on mission success and a collaborative partnership with the Air Force. They are doing everything they can to develop OmegA to meet and exceed the customer’s expectations. The OmegA team members are motivated by a variety of factors, from the opportunity to work on a program of this critical nature, to looking forward to the first launch. “It’s hard to describe to somebody who has never been on a launch console, that feeling that comes over you, but it is pretty special. 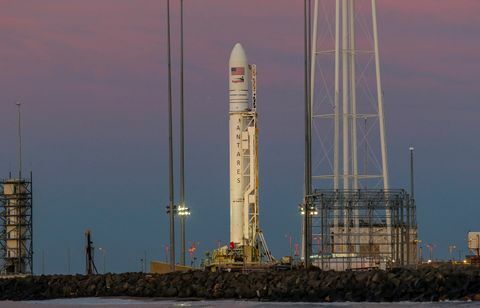 I think it is rare for an individual to get to experience that, and that is one of the things our entire team is looking forward to on this program,” said Brian Mabery, OmegA cryostage program engineering manager. The next program milestones for OmegA include ground tests of the first and second stages in 2019 and 2020, with the first flight in 2021. Preparing for launch operations is not new for the Northrop Grumman team, which supports 12 launches a year on average. From their own words it is clear the OmegA team is passionate about this rocket and supporting the Air Force in providing assured access to space for years to come.